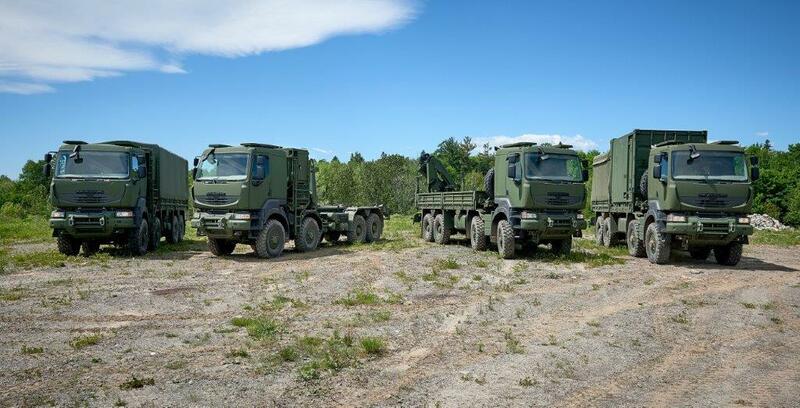 Marshall is providing the load beds for 800 of the 1500 Mack Defense Kerax 8×8 trucks being delivered to the Canadian Armed Forces. Marshall is providing four variants of loadbeds including the cargo, cargo and crane, gun towing and repair truck variants. System (MSVS) Standard Military Pattern (SMP) Program, these are fitted with loadbeds designed and produced by Marshall Aerospace and Defence Group.